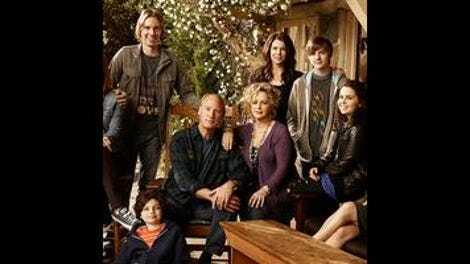 In the end, Parenthood went with the “Kristina loses, but she realizes that it was in the attempt that she found her strength” plot, and the show is the better for it. I’m not going to lie and tell you everything about the last day of Kristina’s campaign worked for me—her friend from the cancer ward showing up to vote in person was awfully cheesy (though the line of “too cheesy” on Parenthood is an ever-variable thing, and your mileage may vary)—but the bit where she had to deliver a concession speech that was obviously a wrenching thing for her to have to do, then she came upon the woman from the debate, was some effective Parenthood. Kristina’s run for mayor is still largely preposterous, but it works as a way for her to realize that she’s not always going to be defined by her cancer, as a way for her to understand how much she still has to give to the world. Plus, I voted for Bob Little, so I can feel like democracy still works. “Election Day” isn’t a perfect episode of Parenthood, but it’s definitely one where you can feel the show refocusing on the stuff it does well and bidding farewell to the election storyline. I don’t know where Kristina goes from here, and neither does she, most likely, but both the loss and the acceptance of that loss were true to the character and the world as the show has come to define that place. I think I mentioned a few weeks ago that Scott Tobias said that a bad storyline on a TV show can still be a way to learn more about the characters and how they process the world they live in. The election didn’t really do that with Kristina, but the aftermath of her loss certainly did, and I’m interested to see the show pick up that particular baton and run with it in the weeks to come. Perhaps Kristina could try one of the many jobs she speed-dated while on the campaign trail. I know, for one, I would enjoy a series that dealt straightforwardly with the issues of people who worked at a supermarket meat counter. I’m snarking a bit, but less than I thought I would be. Parenthood is often successful when it ropes most of the family into one overarching storyline. While that didn’t really work in the previous election episodes, I think it mostly did here, because it didn’t force the issue. Everybody comes to Kristina’s election party, and that provides a space for Julia and Joel to have that big fight they’ve just been waiting to have. It’s also notable for Amber not being there, which provides a chance for her and Ryan to have a fight at the bar where she’s having a drink with the band, then pulls Zeek away from the party to come down to the police station where Ryan is taken after getting in a fight. I’m not wild about stacking the Joel/Julia and Amber/Ryan relationship problems storylines up next to each other, but this divide nicely demonstrates the respective places these two relationships are at. The Joel and Julia fight is much more deeply wounding for both participants. Giving the election that centrality makes it feel all the more important, but it also gives a bunch of the smaller storylines a feeling of better contrast. In episodes where, like, Kristina was running for mayor and Crosby and Jasmine were arguing about which car to trade in for their new minivan, the stakes were all over the place and didn’t dovetail. But here, where Kristina is making her last-ditch campaign effort and Crosby is having to deal with the fact that he’s never registered to vote (and California doesn’t have same-day registration, which is honestly surprising to me as a citizen of the state), the fact that both storylines tie into the same thing makes everything feel like a part of the same continuum. It’s a small thing, but it helps unite the episode in a way not everything this season has managed. Plus, there just wasn’t a storyline in this episode that made me roll my eyes in disgust like a lot of previous episodes have had. The Amber and Ryan thing is less interesting to me than Joel and Julia—and I can sort of see where it’s going from the fact that Matt Lauria isn’t in the main cast—but it’s not so huge that it takes over the rest of the show, and I can buy that these two would be this young and stupid. (That said, the very obvious return of Ryan’s addiction, while realistic, probably could have been handled slightly better and in a slightly less rushed fashion. I sort of felt like Amber would have fretted over that more, but the stuff with the band got in the way.) Max asking Ruby to be his girlfriend and getting summarily rejected was surprisingly sweet and cute, and it also put me in mind of those two cartoon rabbits (so I guess I’m shipping Max and Ruby now, if only). Similarly, the episode checked in with a bunch of other storylines that have been swirling around this season, like Drew and Natalie or Sarah and Hank’s budding friendship, and it did so in a way that felt largely graceful and organic. Parenthood has never been the best at ending storylines. For the most part, it’s far better at coming up with stories that sort of sit around and imitate the way that real life can feel like one damn thing after another, with no end in sight. It’s not very good at operating on a timetable, which may be another reason this election felt like such a boondoggle for the show. But in the process of wrapping up that particular storyline, I think Parenthood found a nice, muted way to remove itself from a world it never had all that much interest in, outside of as a way to give Kristina some meaningless victories. That it did so in a way that reminded me how much I like the Kristina character from time to time and figured out a way to give her a small victory that still felt meaningful, all while tying everybody else into things, was somewhat of a surprise to me. I still love the show, and “Election Day” reminded me of that. All of that said, these are not especially great times to be a Parenthood fan. While the show has surprisingly held its own up against Elementary and the white-hot Scandal and more people seem to be finding it in its new timeslot (or at least on Hulu) with every week, the show is still struggling in the ratings at a time when it very much shouldn’t be if it wants to return. Because of how TV deals are structured, a sixth season would be quite a bit more expensive than this fifth one, most likely, and while NBC is still hurting for comedies that do well in the ratings, it’s got a handful of dramas that are either better-rated or cheaper (and sometimes both). Don’t get me wrong: Five seasons is a nice, long run for a show, and if anyone is going to craft a satisfying series finale, it’s Jason Katims and his crew. But “Election Day,” even if it didn’t hit the emotional highs of previous episodes from this season, had the curious effect of making me nostalgic for a show even as I was watching it. I don’t want to get the Parenthood I love back just in time to lose it. Let’s make whatever remains of this show count. Braverman of the week: Let’s give it up for Kristina. Gracious in defeat and ready to move on to something that makes some damn sense. I understand that some of you work in recording studios and find the “Crosby and Adam start a record label” storyline even more ludicrous than the election one. I will leave it to you to debate whether Amber abruptly being added as a backup singer to the Ashes Of Rome album makes any sense. The scene where Joel castigates Julia for showing up at his workplace mostly because she can’t handle what’s happening to their son was some brutal, if accurate, stuff. I’m officially to the point where I just want these two to stop fighting because it’s giving me uncomfortable flashbacks to my parents’ divorce, and my parents are still married. Similarly, the Victor stuff was just so hard to watch. The show can be so good at depicting the cruelty of kids in situations like this. And the scene where Sydney knows just the buttons to hit to get Victor to blow up at her lends further credence to the “Machiavellian super genius” theory about the kid. Crosby’s efforts to win that one vote for Kristina were hilariously pathetic. I also enjoyed his explanation to Jabbar that he had opted to “public vote,” mostly relayed through Jabbar telling his mom about it. Also, Jasmine acquiesces and admits that Adam is whiter than Crosby, when both she and her husband are sent to campaign in Berkeley’s black neighborhood. I’m always surprised at how deft this show is in handling race, at least from the perspective of well-to-do limousine liberal white people. Did anyone mention Haddie Braverman, even tangentially? : Surprisingly, no. I thought maybe Sarah Ramos would put in an appearance via Skype or something to wish her TV mom luck, but no dice. Did anyone mention Piecat, even tangentially? : No. But I may have a new obsession. In that scene where Julia and Joel drop Victor off at his new classroom, they pass a poster that says something about “Barkley Bear” who apparently loves to read. Go Barkley Bear! That’s all for now! I genuinely don’t know when this show will be back, because I haven’t looked that far ahead, but we’ll definitely have next week off for the holiday. I’ll see you soon, hopefully.